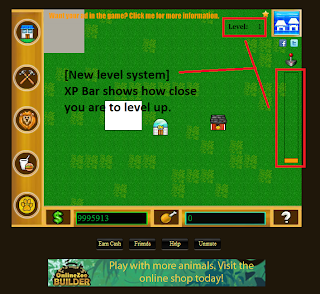 We have added the base of the new level and xp system as promised. Players will now earn experience and gain levels based on how much animals, fences, and buildings they place. When the player fills the experience bar, they gain a level up. 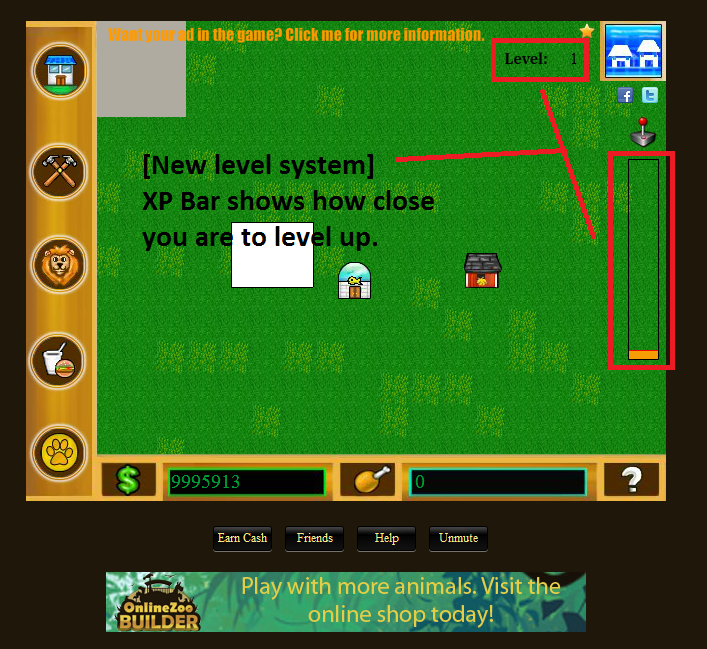 Players use level ups to build bigger and better buildings, get more animals, and get more perks. We hope you enjoy the new level system! [QUICK] New features coming soon! Animal sound effects - when you click on an animal, you will hear it groan, roar, or etc. XP/Level System - Gain levels to unlock more objects. In-depth mini games - Upgraded graphics and increased use. We hope these upcoming features are getting you excited for the next update! Please send us your suggestions in the Online Zoo Builder Forum, so we could keep improving the game.